"Does the Theosophical Society teach or recommend what are popularly known as yoga practices such as breath control, the development of psychic powers, or astral traveling, for seekers hungry for spiritual wisdom and who long to help humanity?" This natural question is often asked because it is well known that the Theosophical Movement was founded by Oriental teachers and was associated for a short time with certain demonstrations of occult forces, shown to help break down the rampant scientific materialism of the age." "Does the Theosophical Society teach or recommend what are popularly known as yoga practices such as breath control, the development of psychic powers, or astral traveling, for seekers hungry for spiritual wisdom and who long to help humanity?" This natural question is often asked because it is well known that the Theosophical Movement was founded by Oriental teachers and was associated for a short time with certain demonstrations of occult forces, shown to help break down the rampant scientific materialism of the age. The answer is definitely No. 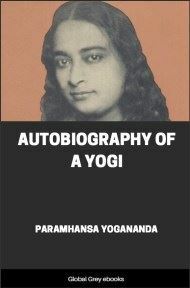 Theosophy, indeed, offers a system of spiritual development or discipline suited to all people, regardless of creed or race; and if we like to call it yoga with the proper meaning of "union" or "yoking" with the higher self, it must be remembered that it has no resemblance to the lower psycho-physiological (and frequently commercialized) yoga methods so widely advertised in the West, which attract the unwise who seek to gratify cravings for preternatural experiences. When closely analyzed, these methods are seen to be misleading when not positively dangerous, and only too often do they stand as impediments to spiritual progress. The popular Western conception of yoga, with its stress upon phenomenalistic results, is not far removed from plain psychical research, only the latter lacks the Oriental appeal associated with the word yoga. The inferior so-called yoga may be regarded as mainly an organized system of psychophysical training developed in the Orient, but the true yoga, as taught by all the great spiritual sages and seers and emphasized in theosophy, is well-ordered spiritual development, the training which leads to the discovery of the inner god. This knowledge was practically lost in the matter-of-fact West, being manifested only by a few illuminated Christian mystics, and conditions prevented their teaching it in the more explicit and scientific manner of the great Oriental teachers; although even in Western lands methods were devised to meet the needs of various mental and emotional types. Salvation was to be attained by love, by devotion, and by works. The monkish practices of self-mortification and bodily torture resembled the methods for strengthening the will and perhaps obtaining a few supernormal powers of a low order employed by false Hindu yogis who injure their bodies by various physical tortures — fire, knives, etc. Their hideous practices are sometimes, but quite erroneously, confused with what is called hatha-yoga. A hundred years ago, even the genuine Eastern yoga was regarded in the West as a fantastic superstition, a fit subject for ridicule. In 1893 a sincere and eloquent Hindu sannyasin preached a high form of yoga in the West, but it was inevitably misunderstood by most of the hearers, largely superficial thinkers and curiosity seekers who were attracted by the Oriental glamour of what was to them the latest fashionable fad, promising mysterious revelations. The audiences melted away when they found that true yoga was not the practice of "magic arts" but meant strenuous efforts toward self-control and self-purification. Let there be no mistake: the theosophical idea of spiritual discipline or yoga, by whatsoever name it may be called, is founded on that principle, and it is the only way to those golden gates which lead out of the prison of the lower self into the light of eternal day. It is pathetic to see intelligent persons who have been disappointed with the conventional answers to the deeper problems of life and human nature, grasping ignorantly for satisfaction in unprofitable, misleading and hazardous directions when the road is open, the landmarks clearly defined, and the guides ready to direct. Among the lower yoga practices which the ill-formed West has begun to play with of late, the amateur experimentation with breath control or pranayama (literally "death of the breath"), with bodily postures and other psycho-physiological methods, has done grave harm to many. It may not only seriously injure the body, but it may only too easily arouse strange elemental forces inimical to man, "dread dwellers on the threshold," which threaten and sometimes destroy reason, the moral nature, and even life. A partial expansion of the lower astral vision that may temporarily satiate the craving for a glimpse behind the scenes is not accompanied, in the case of the tyro, by the power to close at will the doors he has forced open. 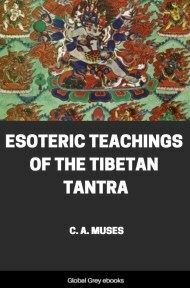 To speak plainly, the would-be practitioner of the psycho-physiological yoga of the breaths, etc., opens a psychological door within himself through which molesting nature-spirits can enter and obsess him. These objectionable forces lurk on the threshold of the astral light, the regions sometimes entered in nightmares and other abnormal states. 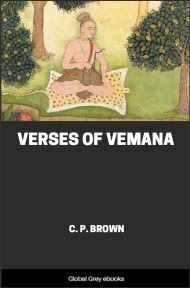 He may also be the prey of earth-bound kama-rupas, lingering, shadowy, and soulless vestiges of persons who have passed on to their peace and rest in devachan. These "spooks" are eager to taste the sensual pleasures of the world again, and they quickly seize the chance of indulging their unbridled passions through the senses of the unprotected intruder into the astral region.